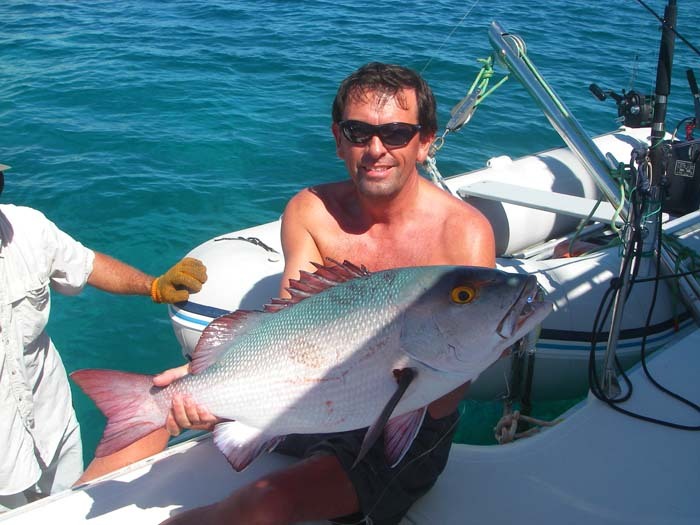 A few weeks ago Steve Pitts had a short (one week) fishing trip to the Seychelles with three pals. I was invited to go but couldn't - I'm still weeping. When he came back he had some wonderful pictures and a few good tales of catches and 'ones that got away'. 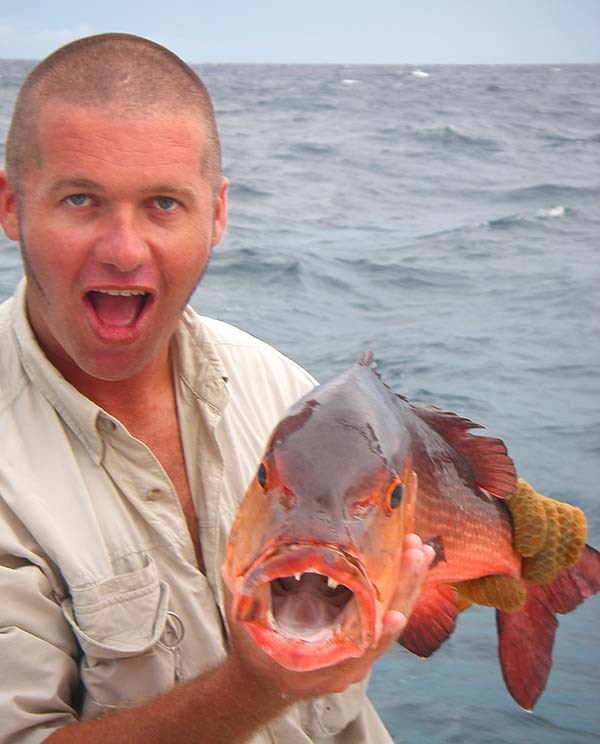 Since my sea angling has probably finished for the winter now I thought a few warming views of tropical islands and their fish might not come amiss. 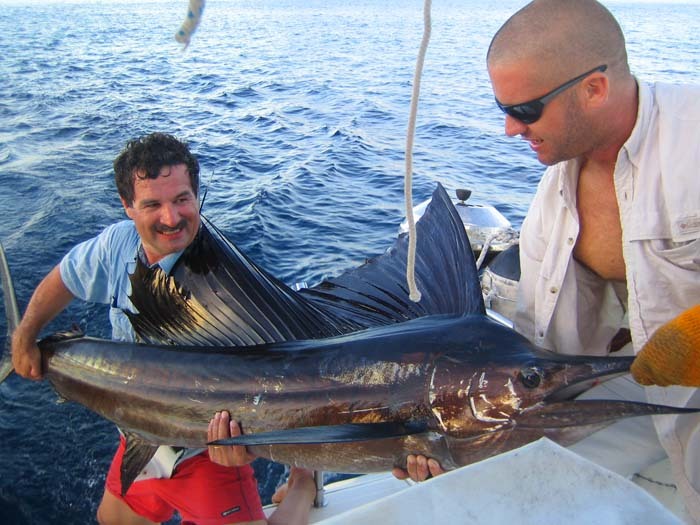 As a matter of interest Steve's fishing methods were similar to those described in our recent Caribbean DVD/CD (see below). Thirty pound braid and spinning gear, medium-weight fly tackle and occasionally 30lb boat gear for trolling. 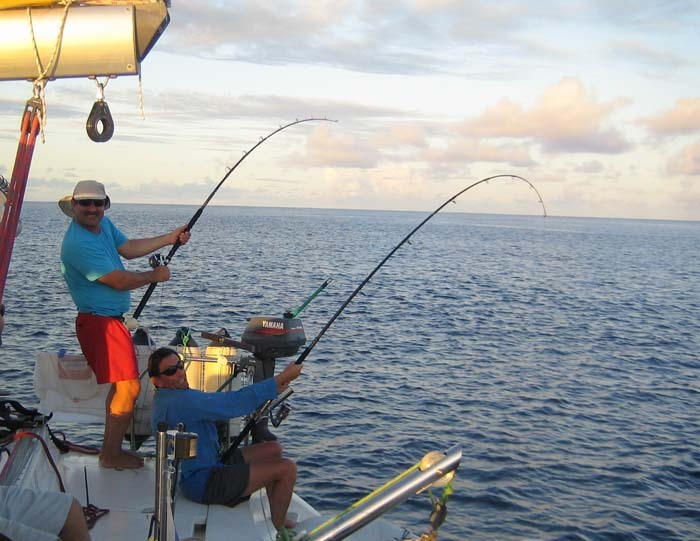 The tackle and tactics are universally effective on any holiday in a tropical paradise. The trip consisted, initially, of a lengthy run in a big catamaran during which (rather than do nothing!) the lads trolled various lures and caught a variety of decent fish. On one occasion three of them were playing yellowfin tuna at the same time. Steve's fish was taken on his fixed spool reel and thirty pound braid (bass/pike gear). He played it for an-hour-and-a-half and told me that after the first half-hour he wondered why he'd bothered. I guess that this feeling was emphasised when - as the fish was nearing the boat - the line touched the exhaust and parted. What a downer! 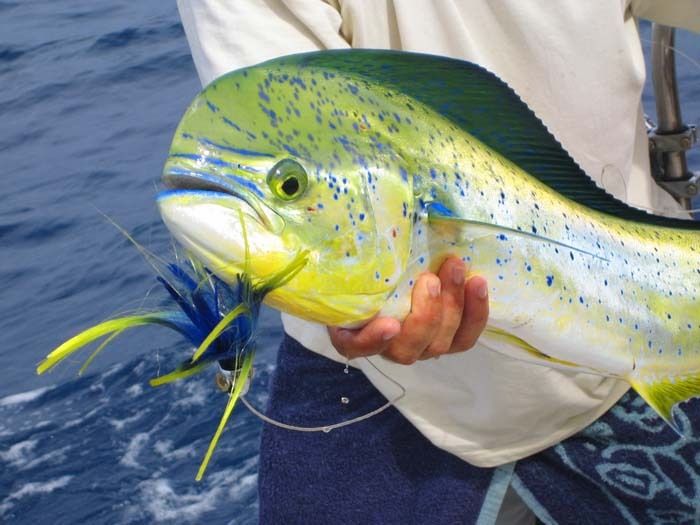 During the long trolling session to the atoll where they were to do most of their fishing they passed over a variety of ground from deep ocean where the tuna and sailfish were hooked to shallow reefs where snappers and other species took the lures. On arrival they swapped the trolling gear for more conventional equipment and fished round the reefs for trevally and the like and waded the flats for bonefish (I'll put some of this on the site later). 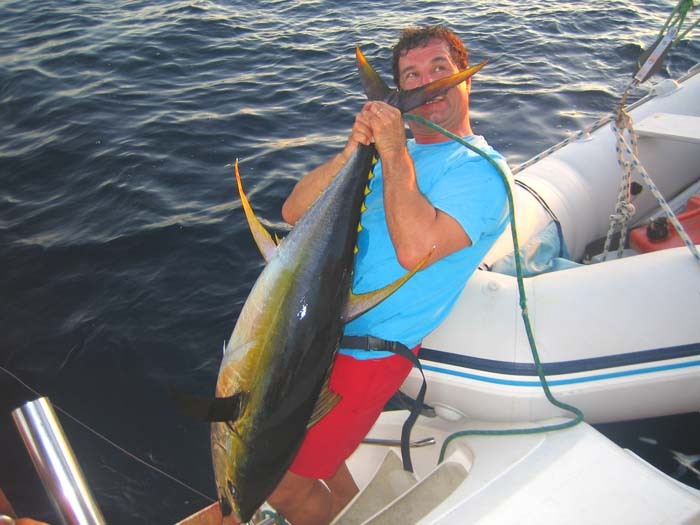 I'm not often envious of my pal's fishing trips but this one was clearly 'something else' - perhaps next time? Largemouth sea perch (Lutjanus malabaricus).